PsychedeLiA’s Shamanic Practices workshop series hosts medicine people who share about the historical background, contemporary practices and integration of natural, indigenous psychedelics. The workshop is presented in an informative, interactive and intimate salon-style evening.The event is open to all who are interested in furthering their education on the safe uses of entheogens. The energetic expansion of consciousness encountered through a “full release” into the totality of the entheogenic experience can be immensely opening and inspiring or simultaneously daunting and terrifying for many individuals - especially, perhaps, for those encountering this experience for the first time with sacraments such as 5-MeO-DMT. Even experienced “psychonauts” with years of practice with other psychedelic sacraments may face challenges in the process of fully letting go of the dissolving egoic structure in the face of the sheer magnitude and force of a full entheogenic encounter. “Letting Go” is a shared group forum that will examine and explore several very effective techniques for “Benefit Enhancement” in preparing for and maximizing ones ability to fully surrender into this dynamically transformative experience and offers a number of novel suggestions and ideas in both preparing for this extraordinary experience as well as useful, practical tips and techniques for integrating these peak experiences effectively into our lives for our greater individual well-being and in promoting our collective planetary evolution and transformation. Merrill Ward is a staunch proponent of cognitive liberty and a passionate advocate for the safe and responsible use of entheogens for engendering direct spiritual experience. He possesses the rare gift of exquisitely articulating deep esoteric wisdom and transmitting this wisdom through ceremony, ontology, metaphor and noetic experience. Merrill has been deeply involved in the Western Mystery School tradition and comparative world religions for over 28 years. He is an ordained gnostic priest, ritualist, teacher and student of the spiritual philosophies of Thelema and Hermeticism, as well as the disciplines of Transpersonal Alchemy, Raja Yoga, Hermetic Qabalah and Ceremonial Magick; with a special emphasis on the Mystical Unitive Experience and the practical application and uses of entheogenic techniques and sacraments for exploring and expanding human consciousness for attaining direct access to the Divine. His work over the past 11 years acts as a transformative catalyst, effectively guiding individuals and groups into deeply profound states of Unitive consciousness. Providing them with a richer and deeper integrated understanding of their innate power, love, wisdom, creativity and spiritual abilities while aligning them with their True Will, purpose and mission in life. Merrill has offered presentations and spoken on entheogenic spirituality at a wide variety of venues including Entheon Village and Sacred Spaces at Burning Man, the Mystic Garden Party, Beloved, Inlakesh, and Peace Village music and arts festivals, the 2013 National O.T.O. Conference (NOTOCON), the 2014 Science & Non-Duality Conference (SAND), the Portland Entheogenic Exploration & Research Society (PEERS), The Aware Project Los Angeles (2016 & 2017), the Exploring Psychedelics Conferences (2015-2018), the L.A. Psychedelic Science Symposium (2018) and at the World Bufo Alvarius Conference (WBAC) in Mexico City (2018). He is the founder of Awakening Divinity Ministries (ADM) and Quintessential Life Transformations (QLT) in addition to being an ordained Bishop of the Gnostic Catholic Church (EGC) as well as a conscious and loving father. SPACE IS LIMITED - a small number of door tickets will be available, online prepurchase highly recommended. $15-25 sliding scale pre-purchased through Eventbrite, please pay what you can afford; $30 on the day/at the door. A portion of the proceeds are funneled to PsychedeLiA's community fund. Notice: this presentation will be filmed (camera will be directed at the presenter); by purchasing a ticket you are agreeing to have your image/voice recorded and potentially posted on social media. PsychedeLiA: Psychedelic Integration, Los Angeles is a collective of professionals and peers interested in the potential psychological and spiritual healing properties of psychedelics. 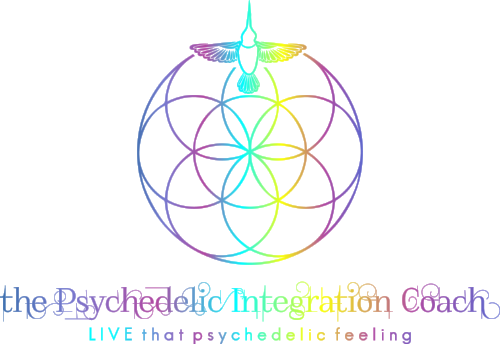 PsychedeLiA events are intended for the purpose of educating about mindful & safe integration of entheogenic experiences, offering emotional support, and creating meaningful connections between community members. We are a collective of professionals and peers interested in the potential psychological and spiritual healing properties of psychedelics. We aim to provide accurate information about mindful and safe preparation, engagement and integration of entheogenic experiences. We aim to offer educational tools to users of psychedelics and to their support systems. We aim to offer emotional support to individuals and groups who are curious about, are planning on exploring or have explored psychedelic states. We aim to create meaningful connections between community members.